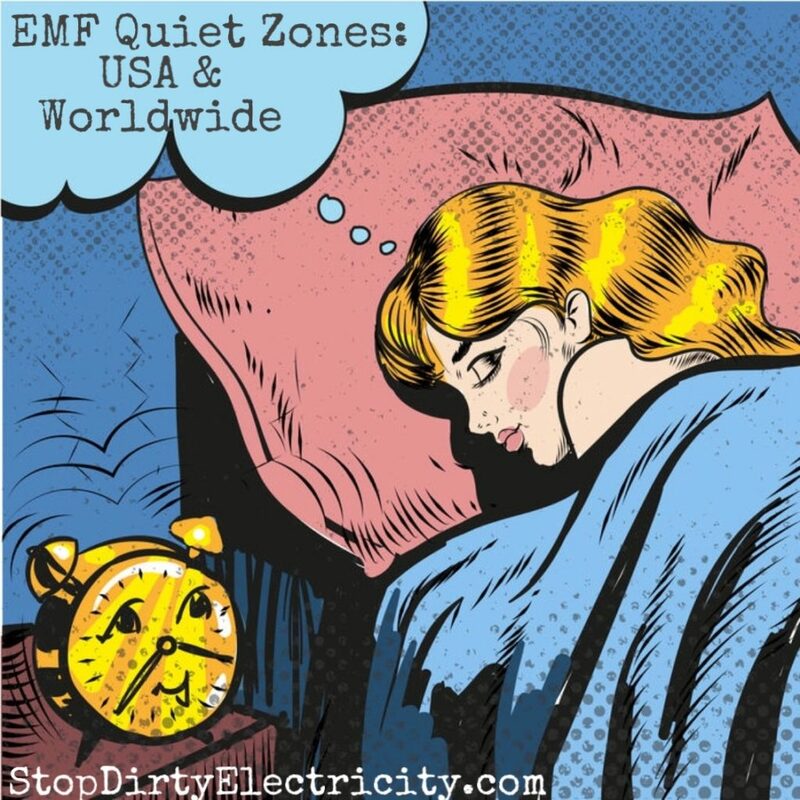 EMF-free communities are springing up in EMF Quiet Zones — areas of low, (ideally zero) electrosmog — across the world as the numbers of people becoming aware of their increasing electrosensitivity is growing. Symptoms of electrosensitivity can include insomnia, anxiety, vision problems, headaches, extreme thirst, night sweats, fatigue, memory and concentration problems and other symptoms. Electrosensitivity (EHS) and Multiple Chemical Sensitivity (MCS) frequently are found together, and so they are generally compatible community neighbors who retreat to EMF Quiet Zones from the advance of the ever expanding onslaught of environmental pollutants, including the invisible pollution of radio wave technology, such as cell tower radiation, WiFi , etc., Although many EHS and MCS sufferers tend to keep a low-tech low profile out of necessity, here are a few of the more media/internet visible communities that invite contact. 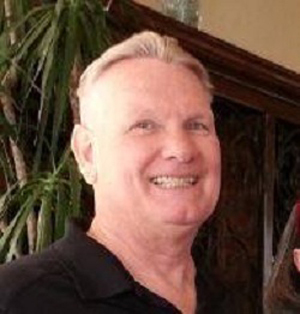 Hey, this is Bill Cadwallader with StopDirtyElectricity.com. I have many things to chat with you about Electromagnetic Radiation. You say, what is Electromagnetic Radiation? This harmful radiation is caused by our modern day lifestyle and the myriad of electronics that surround us today. We will be discussing the sources of this radiation and how you, in most cases, can reduce over 90% of this radiation by taking some simple, easy-to-do steps to protect your home, family, kids, environment and yes, even your pets – please don’t forget your pets. So stay tuned. If you find it helpful, please share this with your friends. The first radiation is Electric. This Electric Radiation is now present in almost all homes. A major source of Electric Radiation is the wiring in your walls and any visible wires.We can reduce the effect of this radiation with a few, easy steps. Recently we did an home audit for a couple where the man was very skeptical. When I followed up with the wife a few days later, she had to admit, she had the best night’s sleep – in as long as she could remember! The next time I spoke with her, her husband – you remember the skeptic – had to admit, he couldn’t remember when he had slept so well. Boy, am I happy to hear this common result again, and again. Another type is Magnetic Radiation. Magnetic Radiation is produced any time electricity is flowing through a wire. Many articles have been written about Magnetic Radiation and the effects are normally reduced just by moving 2 to 6 feet away. A third type of radiation is Wireless / WiFi / RF radiation. This is caused by many modern electronics like cell phones, tablets, baby monitors, cell towers, etc. If you’re not using a wireless electronic device then just turn it off or put it into airplane mode turned ON and Bluetooth & WiFi turned OFF. deals with quick and easy ways to reduce your exposure to Wireless / WiFi / RF radiation. Finally, the 4th type of Electromagnetic Radiation is termed Dirty Electricity. It is sad, but La Quinta Middle School had off-the-chart high Dirty Electricity levels. Unfortunately, 16 teachers had 18 cancers at the school and several have died. I know one teacher personally, she said the very day she started, she found out that one teacher had died of cancer and 2 others had cancer. After teaching there for 3 years, she realized nothing was going to be done and she moved on to a different school. And if that is not bad enough, at last count, we know up to 37 students attending that school who developed cancer starting in their 20’s – with one student at age 15. We will be discussing all of these radiations and how to get rid of them on this site. And if you find it helpful, again please share these blogs with friends and relatives. Hope to hear your own comments when you begin to follow these tips. Which light bulb should I use? Are Smart Meters really SMART ? Stop Dirty Electricity provides EMF consulting, video packages, home, school, and business inspections in the Las Vegas, Nevada, Arizona, Utah, San Diego and Orange County areas to protect you from electromagnetic radiation. Stop Dirty Electricity does not claim to diagnose, treat or cure any medical condition or disease. Stop Dirty Electricity.com shall not be liable for incidental or consequential damages, lost profits or revenues to the fullest extent such liability may be disclaimed by law.